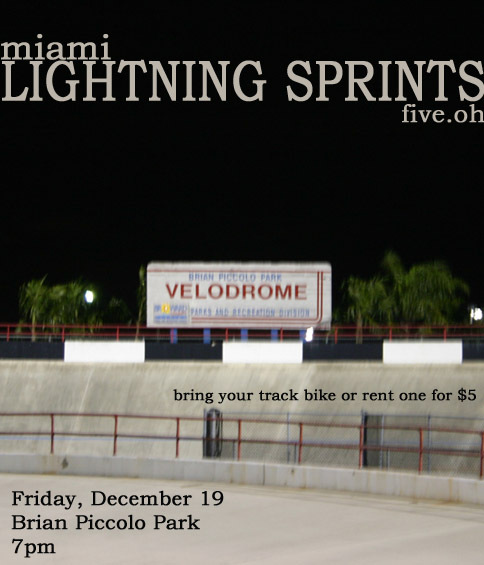 Miami Lightning Sprints is taking place at the velodrome in Broward this month. $5 fee to get into the velodrome. Helmets are required. 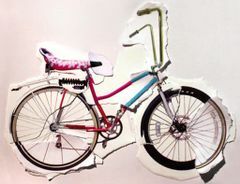 Bicycle must be track bike or fixed gear. No brakes. You may rent a helmet and track bike if you don't have one. Just to let you know, there is a good chance that there will be groups of people training there. It won't be like last time when we went and the the place was empty. FYI, Fridays are usually not so busy in the evenings. Just a few people if you are lucky. I will be there fo sho !!! Thinking about coming out for this. Is the 7PM start strict? I'm sure if you got there at 8 you would still be able join in. The velodome closes at 10 so you have enough time. Even if you showed up at 9 , you would have just avoided all the slower people in the beginning.